Bill Koucky didn’t set out to create the perfect flour for artisan breads. He didn’t set out to make flour at all. No, he was an oilman. Not in the sense of derricks and huge oil pumps. No, though he was interested in petroleum as fuel, he was looking at a crop, using canola oil for biodiesel. Get a bottle of sunflower oil on ShopMyNorth! But it turned out that the oil tasted too good to waste it on powering engines. 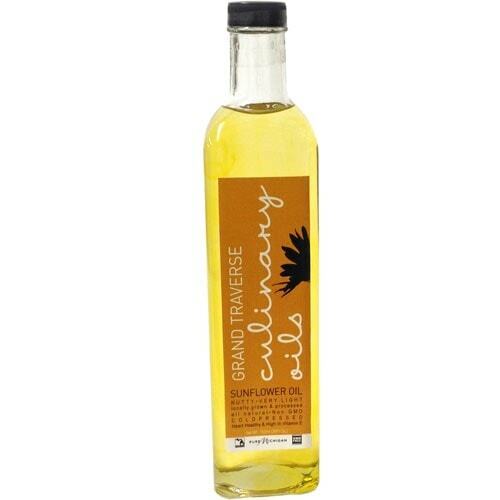 Thus was born Grand Traverse Culinary Oils. “I started out growing canola for fuel, biodiesel, but the oil tasted pretty good. I could sell a pint for $10 as opposed to a gallon for whatever diesel is going for now,” Koucky says with a laugh. Wait, weren’t we talking about flour? Yes, we’ll get back to that, but there are a couple more twists to the story first. Once Koucky found a market for his canola oil, which was produced by cold-pressing rather than chemical means, he started looking at ways to diversify and offer customers more than just one oil. “I started doing sunflower oil. Now sunflower oil is taking over,” Koucky says. He didn’t stop there. Recognizing a good market when he saw one, Koucky began experimenting with adding some flavors to the oil. Sourcing herbs and spices from the Suttons Bay Spice Company, he crafted favors such as traditional Italian, herbs de Provence, basil garlic, garlic rosemary, cilantro jalapeño and lemon pepper dill (sunflower oil only). And here’s where it gets really interesting. To maintain the correct nutritional balance in their fields, Koucky’s farmers’ network rotated their crops. Koucky decided that rather than going for the same old same old clover, rye, corn, or oats to replenish the nutrients in the soil, he’d opt for something new. “We rotated the oil seeds with hard red wheat. Everyone told us we were crazy,” Koucky says. So much so that bread makers across the state are now beating a path to his door. Greg Carpenter of Crooked Tree Breadworks in Petoskey is a regular, as is Common Good Bakery’s owner Jason Gollan in Traverse City. So is Zingerman’s, the famed Ann Arbor deli. “The protein created is necessary for bread. The last piece for the local food movement is grains,” Koucky says. But for those who have embraced the challenge, the results have been outstanding. Zingerman’s Bakehouse True North Bread is one of its most popular products. Ever the experimenter, Koucky wasn’t done. When his friend Don Coe, the now-retired owner of Black Star Farms, started talking about using the cast-off skins of his grapes in a different way, Koucky was intrigued. The two combined their resources and produced a purplish flour that is still used in the pizza dough at Black Star Farms. “When Don retired we lost a little momentum,” Koucky says. But not all is lost—he’s now looking at using the combo flour for pasta. What next? 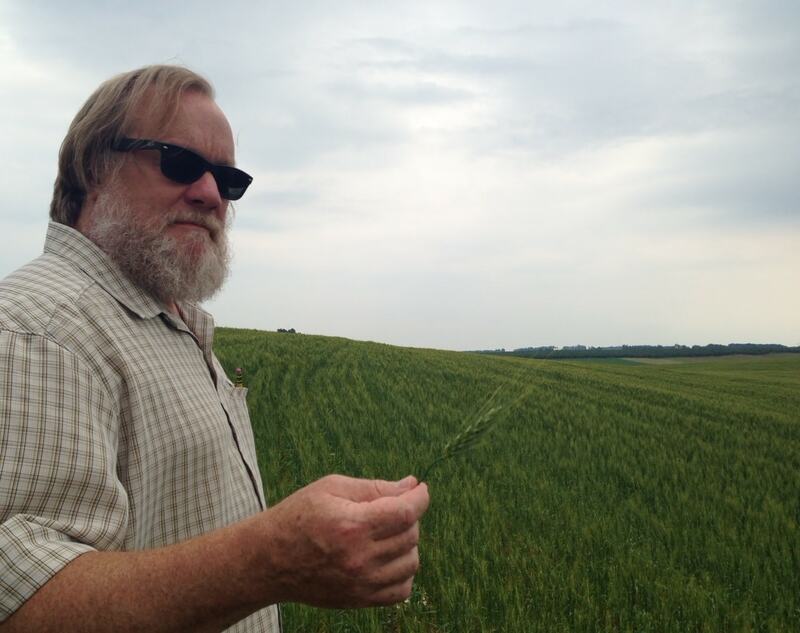 Koucky says he’s looking at everything from durum wheat (the most popular variety for pasta) to emmer, an ancient grain regaining popularity. Then there’s a garlic farmer in the Buckley area who’s interested in producing organic wheat on a portion of his property. Koucky has also put in a packaging line for co-packing that’s being used among other things for a pasta sauce and a cherry BBQ sauce, even a mustard for Founders Brewery in Grand Rapids. “I’m hoping to grow some mustard this summer,” he says. In addition to online sales at GTCulinaryOils.com, various products are available at specialty stores like Lynn & Perin in Frankfort, and Maxbauer in Traverse City, as well as Lucky’s Market and Oryana. Try this cherry-rosemary glazed pork tenderloin recipe with Bill’s sunflower rosemary oil.